Swirling patterns, organic shapes and natural formations: marbling offers a playful, no-pressure approach to textile surface design. Before the studio becomes a swirling kaleidoscope of color and pattern, Megan will introduce students to fabric prep, material tips and demonstrate the mixing of methocel-based marbling gel. Students will test color and pattern on a small scale with fabric swatches, before moving forward with a large-scale, finished piece. 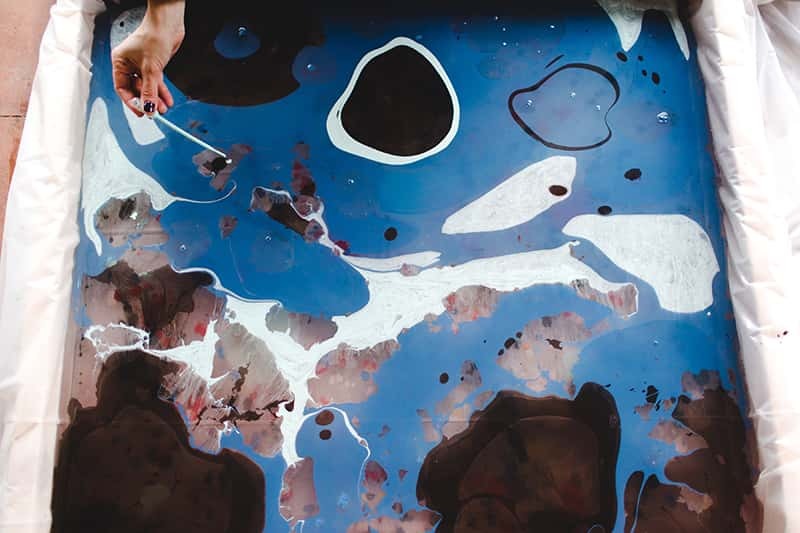 Composition, balance, color, and shape will all be points of experimentation in the marbling process.